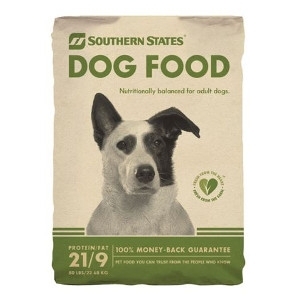 Southern States Dog Food is an economy line that provides a nutritious meal for dogs that's big on taste and easy on the wallet. This food contains 21% protein and 9% fat, which is perfect for any dog’s diet. Comes in a 50 lb bag.